View our Father’s Day Gift Ideas and a Giveaway. The Everest Explorer Journal is rugged, tough, and perfect for any adventure. It comes in four different sizes and has already begun an adventure just getting to you. The paper in the journal (and in all our journals) comes from the Lokta bush which grows in the Himalayan mountains of Nepal. A non-tree source, the lokta bush grows back quickly after being cut making it a renewable paper source. The fibrous inner bark is cooked into a mash and then spread by hand over large boxed screens and set to dry on the mountainside, creating the paper, a process which dates back more than 1,000 years in Nepal. The paper is carried through the mountain passes by donkey eventually reaching Kathmandu where the paper is hand crafted into our journals. The water buffalo leather is vegetable tanned with black walnut husks. Wether your dad is a hiker, camper, or an explorer of the unknown, this journal is a great an popular choice as a gift. 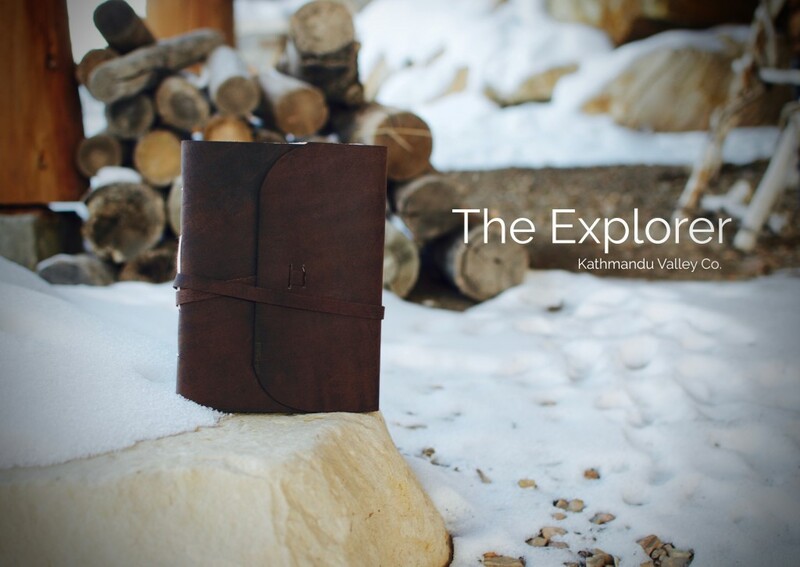 Learn more about our Rustic Everest Explorer Journal. The Nepali Traveler Journal is a popular journal for the sophisticated, yet adventurous traveler. Available in two colors: Caramel which is made from the vegetable tanning process using natural mimosa bark, and Dark Walnut which is made using black walnut husks creating a rich dark brown. The journal measures 5.5 x 8 inches, and has 96 pages (sheets) making 192 counting front and back. The leather buckle/belt secures the journal and provides a unique look. 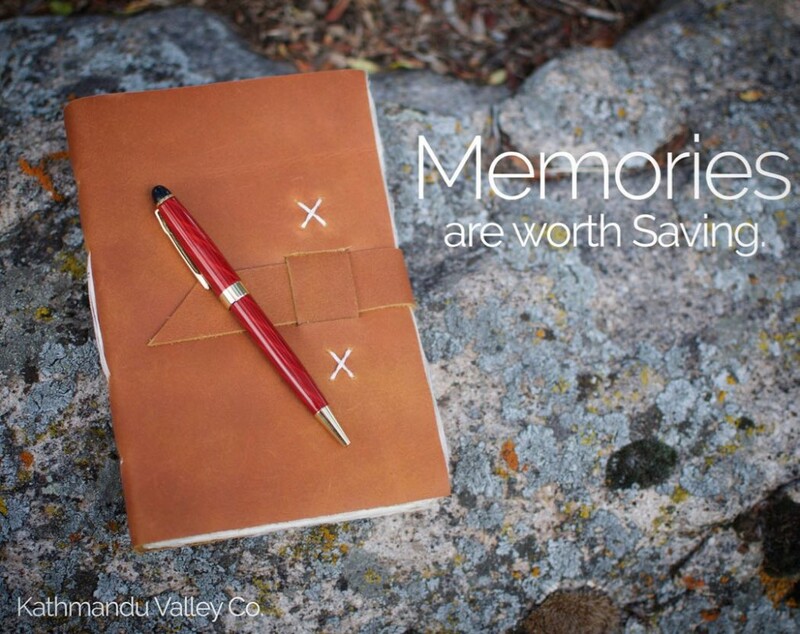 Check out our Vintage Nepali Traveler Leather Journal. 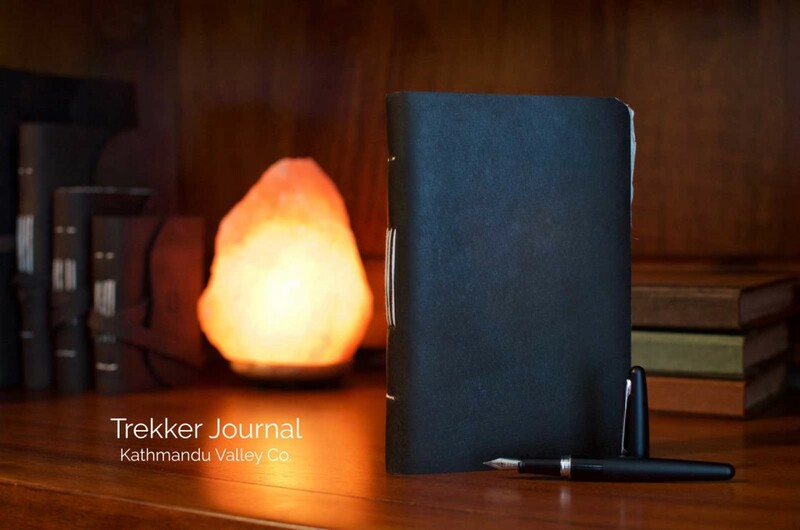 Our Nepali Trekker Journal is a great gift for the executive who enjoys getting out into nature, but still wants a notebook that can be used at the office, and our Nepali Trekker Journal is the perfect fit. It also comes in two colors, Caramel and Dark Walnut. The leather from our journals comes from water buffalo hides from India and are vegetable dyed making them a unique match for the office and for traveling around the world. 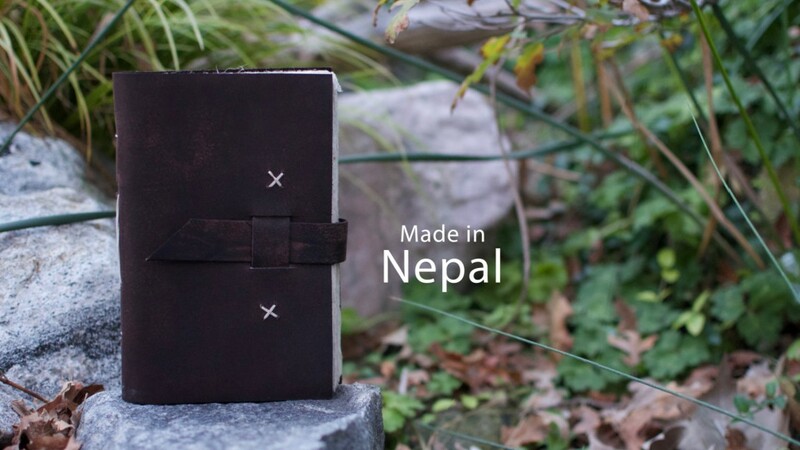 Check out our Nepali Trekker Leather Journal. 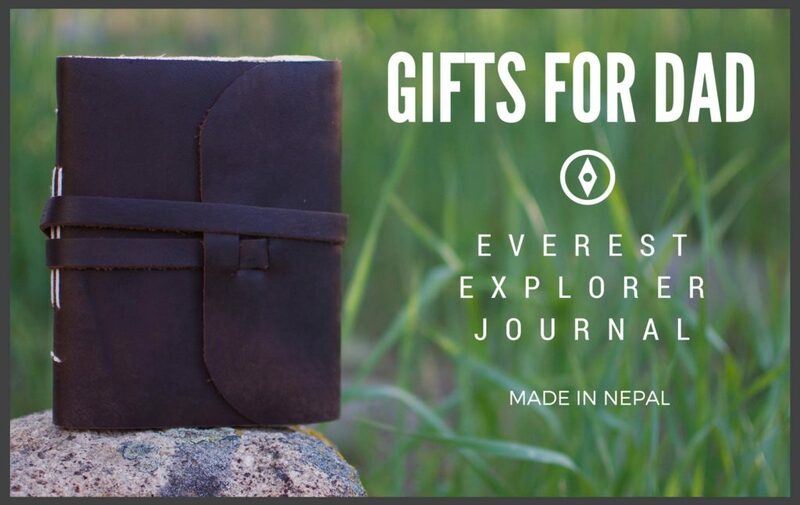 Use the form below to enter for a chance to win one of our Everest Explorer Journals handmade in the Himalayas of Nepal. The Giveaway is now ended. Thanks to all who participated! Check back soon for other giveaway opportunities.